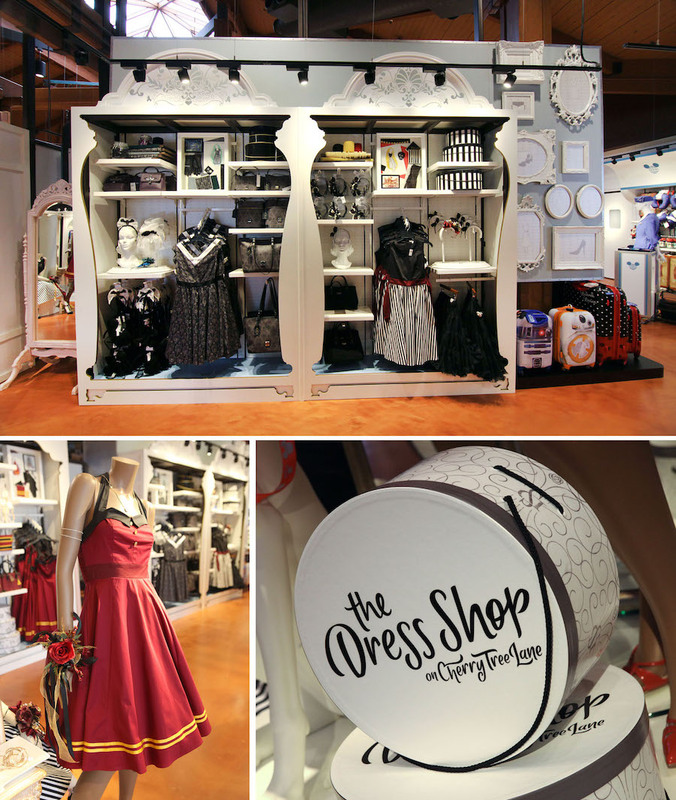 The Dress Shop is returning to Cherry Tree Lane inside the Marketplace Co-Op at Disney Springs. The store is set to open July 27. 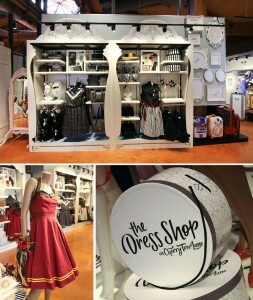 The Dress Shop will once again feature colorful dresses, accessories, and more. The displays will feature a new logo for The Dress Shop – a monogram that will feature prominently throughout the store. Other new design details include shadowboxes with dress sketches, fabric trimmings, and more. When the store opens, shoppers will find dresses inspired by Orange Bird, Walt Disney’s Enchanted Tiki Room, Haunted Mansion, and more. A Cinderella-themed dress will also be available.